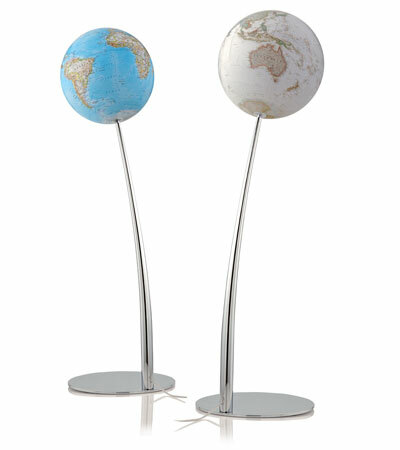 The Iron is the first in the vision series to combine a floorstanding, modern globe design with a highly detailed map thus satisfying the need for both contemporary form and function. The globe ball is mounted on a chromed steel stem and solid chromed steel base. Illuminated only.